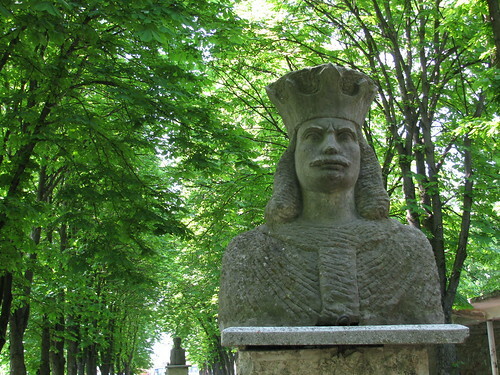 As a Moldovanca (a Romanian from the Moldavian region), when it comes to historical Romanians, I’m partial to Stefan cel Mare (Stephen the Great) who built many a monastery in Moldavia after his victories in battle (or in the bedroom, depending on who’s telling the story). But if I’m honest, the real reason for my great love of Stefan is his mustache. Every time it’s depicted, it’s a tad different – a bit curly or bushy or thick or long. His mustache combined with his brow and hairdo really gives his likeness personality. Yes, that is a kit to embroider an 8×10 Stefan-freakin-cel-Mare! I squealed like a child and the saleslady looked at me like I was crazy. 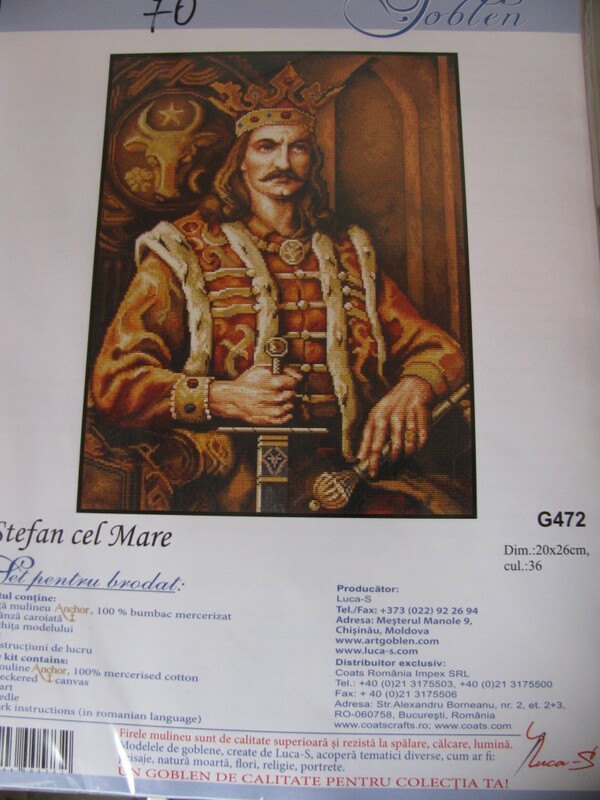 Why would an American girl be so excited over Stefan cel Mare? Of course she asked, I replied, and now we know each other’s life stories.